We think you're perfect just the way you are, Mimi. Mariah Carey has been in the entertainment industry for decades and is undoubtedly one of the biggest stars in music. But according to a new report, the 47-year-old former fiancee of James Packer isn't immune to her critics. Page Six claim Mariah reportedly underwent gastric sleeve surgery in October after she was victim to constant body shaming by online trolls. Celeb NewsHang on, is Kylie Jenner pregnant or not? The publication claim the mother-of-two had the procedure, which involves removing a segment of the stomach so you feel fuller, quicker, and therefore eat less, by one of the top surgeons in the medical world in Beverly Hills last month. 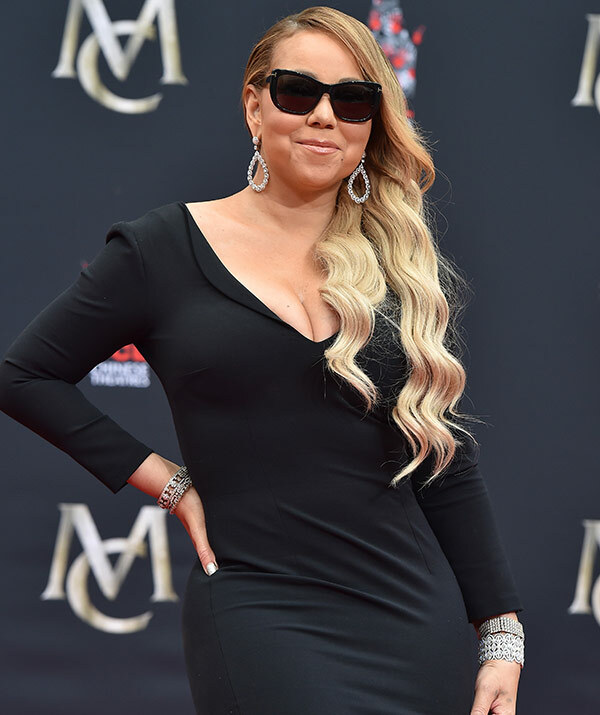 "Mariah has always been proud of her curves, but this summer, as her Caesars Palace residency came to a close, and then she went on tour with Lionel Richie, she noticed it became harder to dance, and she was getting a lot more criticism online from body shamers," a source explained to Page Six. The insider also claims the Grammy award winner had been indulging in cocktails and extravagant dinner dates with her boyfriend, back-up dancer Bryan Tanaka, and wanted to make a change. "Mariah underwent the procedure about a month ago, and she is already seeing some good results, and she feels a lot better," the insider revealed. Mimi's spokesperson Nicole Perna refused to offer an official comment on the report. It's not the first time Mariah has faced weight-loss surgery allegations. In 2015 Star magazine claimed Mariah's partner at the time, Aussie billionaire James Packer, was trying to convince the singer to have the procedure after his own lap band surgery in 2011 was such a success. "Despite what she has been trying to portray with Spanx and Photoshop, the singer’s size has been steadily increasing over the years – and it was her billionaire boyfriend who put the idea in her ear since he himself lost more than 75 pounds (34-kilograms) from the procedure in 2011. James said that the surgery hasn’t been a cure-all, but it has definitely helped keep his weight from spiraling out of control," a pal told the mag. In 2012, James revealed to The Daily Telegraph that his surgery and regular exercise had helped him regain control over his health. "I do 90 minutes of exercise a day, and obviously I have the lap band. I used to eat a big portion, and the message used to go from my stomach to my brain: 'I'm hungry,'" he said. "Now, my stomach sends messages to my brain saying the whole time: 'I'm full'. How good's that?" In 2011, the Hearbtreaker hitmaker shed 31 kilograms after the birth of her twins. "I never weighed myself. People will think I’m a liar but it’s true. I’m a big-boned girl, I’m tall, and so I always weigh more. I would tend to go, ‘Does this size dress fit me that I wore three years ago?’ I would go by what it looked like, how I felt," she said at the time. Mariah's ex-fiance James Packer had lap band surgery in 2011. Mariah's apparent surgery isn't the only big shake-up in her life at the moment. This week, the diva confirmed she'd parted ways with her manager Stella Bulochnikov and her boyfriend Bryan will be looking after her affairs. “After working together for almost three years, Mariah Carey and Stella Bulochnikov have determined that it is in their mutual best interest to part ways on day-to-day management,” a joint statement from Mariah and Stella said. Mariah and Stella were extremely close and at the time of Mimi's split with James Packer last year, it was revealed the casino mogul clashed with Stella. “He cannot tolerate her dictator style,” and insider told Woman's Day at the time. It's over: Mimi has parted ways with her manager, Stella Bulochnikov.